DAVID C. HOFFMAN, D.D.S, F.A.C.S. Staten Island Maxillofacial & Oral Surgeon, David C. Hoffman D.D.S., F.A.C.S. Dr. David C. Hoffman is Board-Certified and a Diplomat in the American Association of Oral and Maxillofacial Surgeons. He is the Director of the Division of Oral and Maxillofacial Surgery at Staten Island University Hospital. After completing his undergraduate work at the University of Wisconsin in Madison, Dr. Hoffman spent two years as a NIH Fellow at the University of Wisconsin Medical School and then received his DDS at NYU College of Dentistry. While a student at NYU Dental School, he received a distinguished fellowship to spend two months at Memorial Sloan Kettering in New York City. He completed his Oral and Maxillofacial Surgery residency training at Parkland Memorial Hospital Southwestern University of Texas Health Science Center in Dallas, Texas. In 1981, Dr. Hoffman entered private practice in Staten Island. He has been involved with Staten Island University Hospital ever since. An active member of many distinguished professional organizations, Dr. Hoffman currently serves as the Director of the Cleft Lip and Palate Center at Staten Island University Hospital and Maimonides Medical Center in Brooklyn New York and Medical Director of Healing the Children, Missions Abroad Programs, a non-profit organization dedicated to the surgical treatment of children in Third World countries. Dr. Hoffman has a special interest in Healing the Children and has been associated with this organization for 20 years. In that time, he has led over forty surgical missions to Third World countries and has performed surgery on more than 1000 children with cleft lip, cleft palate, and other facial deformities. Dr. Hoffman is actively involved in the field of temporomandibular joint surgery and complex facial reconstructions. 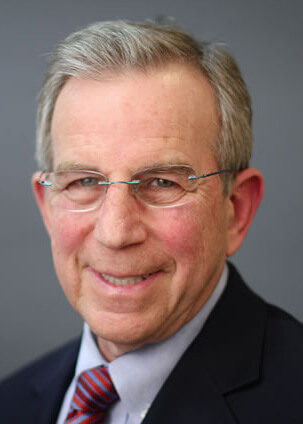 A pioneer of TMJ arthroscopic surgery, Dr. Hoffman has taught his own surgical workshop at the University of Medicine and Dentistry in Newark, New Jersey for approximately 10 years. In 1996, Dr. Hoffman and Dr. Michael Pappas designed and subsequently patented the Hoffman-Pappas Total Joint Replacement System for the Temporomandibular Joint. He is the principal investigator in the FDA approval process. The Art of Surgery with Our Staten Island Oral Surgeons! 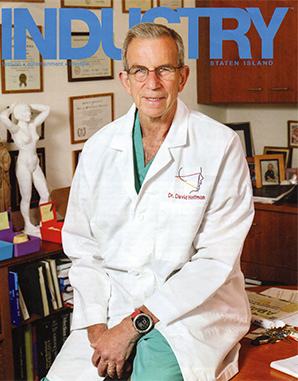 Staten Island oral surgeons Dr. David Hoffman, Dr. Lydia J. Lam, and Dr. Mark Stein are featured in Industry Magazine! Our Staten Island dentistry professionals discuss how advances in dental technology have led to cutting-edge improvements in oral surgery. Thanks to these innovations, oral surgeons performing cleft lip surgery, bone grafting, dental implant surgery, and more can achieve substantial results with less downtime than ever before. To read the full article, click here. Dr. Hoffman was featured on the Discovery channel for the treatment of TMJ and facial jaw deformities. He is married and has four children. His hobbies include tennis, jogging, skiing, and traveling. Dr. Hoffman is also a sculptor, and many of his pieces may be seen in his office.